The CipherLab 8500 RFID has been discontinued. No direct replacement is available. The CipherLab 8500 RFID features both optical and RFID scanning, allowing for fast, easy data acquisition using barcodes and RF tagging. Plus, Bluetooth technology gives you instant access to a range of handy devices, like PCs, printers, and mobile phones. Scan, batch upload, and print without wires at store shelves, in the warehouse, or anywhere along the supply chain. 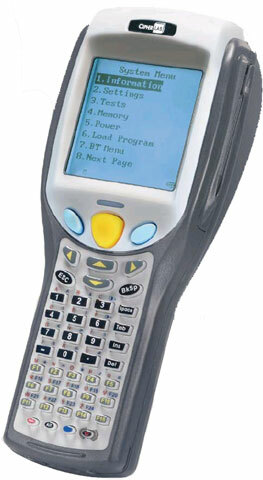 The 8500 RFID with Bluetooth and RFID is all you need for better productivity.